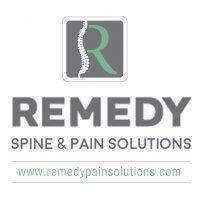 Neck pain has become a very common issue these days, and there can be many causes of neck pain. The neck is a network of nerves, muscles, joints, and bones, designed to offer stability and strength. Neck pain that persists for months should be considered seriously, as it may indicate a serious medical condition that needs to be addressed with proper supervision. It is always a good idea to treat the minor symptoms before things can get worse. Neck pain can range from mild to excruciating pain that may not allow you to sleep. Usually, taking painkillers and exercising will help you to get rid of the mild pain. However, if the pain is severe, you might have to opt for the advanced measures. Most doctors recommend non-surgical methods of treating neck pain to check if the issue can be fixed without a surgery. However, if non-surgical treatment methods fail to alleviate the pain, surgery may be advised to stabilize cervical pain or to decompress the spinal cord. Neck surgeries are also recommended to remove damaged discs in order to stop them from irritating nerve roots and causing pain. Discectomy is the most common type of neck surgery for pain, which involves the removal of damaged discs leading to neck pain. The surgery is done by dissecting the front of neck (Anterior Cervical Discectomy), and is usually performed together with a cervical spine fusion to ensure spinal stability after removing the disc. Cervical Artificial Disc Replacement is another common surgery, which involves replacing the removed disc with an artificial one. The procedure is recommended as an alternative to Anterior Cervical Discectomy and replaces the damaged disc with artificial disc. The benefit of replacement surgery is that it will help to retain the flexibility of neck. However, this is a relatively new surgery method to get rid of neck pain, and only a few surgeons practice this treatment procedure.